The fluidic Verna since its debut is doing wonders for the Korean manufacturer in India. Hyundai is the second largest car manufacturer in the country with its offering in almost entire segment second to Maruti Suzuki. The Hyundai Verna with the manufactures fluidic sculpture design scheme eradicates the blandness of the previous generation vehicle and the car turns out to be a head turner. The coupe inspired roof-line along with the array of segment first features and eye catch fluidic design sales of this flagship sedan of Hyundai cars are sky high since its launch. The manufacturer silently updated the vehicle with minor cosmetic changes and available this Hyundai at all dealerships across country. The Hyundai Verna price starts from Rs. 7.29 lakh for the base while the top end comes at Rs. 11.48 lakh ex-showroom capital region of our country. 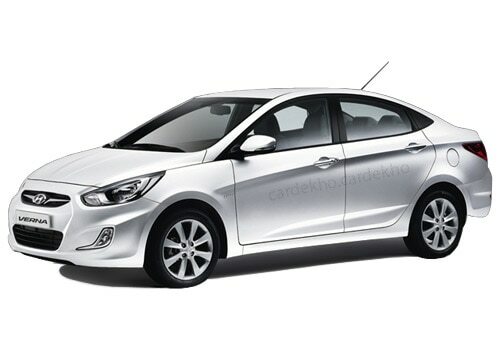 Let us talk about the changes first, Hyundai Verna pictures shows that the facelift is minor. Majority of the changes are seen inside. Now, we get back illuminated buttons for the power window, steering mounted buttons and few buttons on the dashboard. The rear sets now sports two head rests instead of three available in the current version on sale. The top of the line variant of the car now, rides on newly styled alloys wheels. Only four alloys are provided by the manufacturer, spare wheel comes with steel rim only. Day time running LED’s were expected with this facelift but the company dropped this out from this recent refresh. It will sorely be missed by the customers as they will always see on the road its younger sibling the i20 flaunting its DRls. 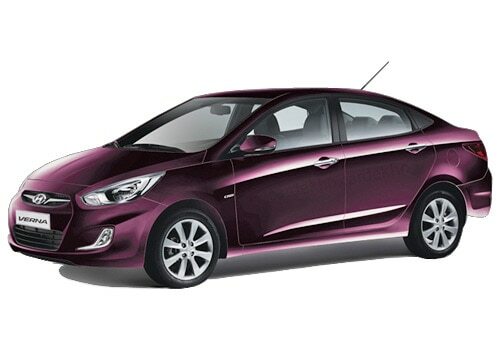 Rest of the Hyundai Verna features offered currently will remain same and are retained in this updated version. Mechanically, the car will be same as before and is offered with four engine options two petrol and two diesel versions and three transmission options. The 1.4 and 1.6 petrol churn out 105 and 121 break horse power at 6300 Rpm respectively. The diesel counter parts 1.4 and 1.6 muster 88 and 126 break horse power at 4000 rpm respectively. The Verna is a very spirited car, it cruises well on the free ways and city manoeuvring is bliss thanks to its electronic power steering. It is the most powerful vehicle in its class. However, the car does not give you the confidence of a planted ride on highways due to its soft spring and hardened dampers. At high speed the automobile gives bumpy slightly unsettled ride. Though, the city potholes are soaked very well by the auto mobile. This mild refresh on the car will help it to cope up with the current offering in the segment and soon to be launched face lifted Fiat Linea. The Question Arises-Is Toyota Etios The Real Sedan? 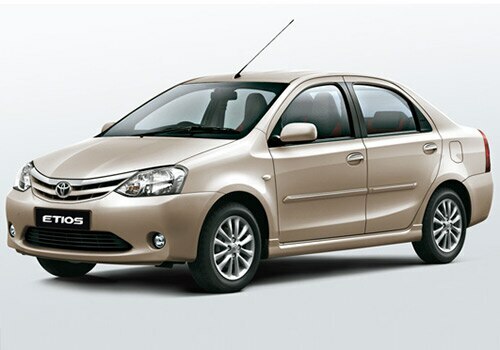 The Japanese maker, Toyota Cars India, rolled out the Etios in the year 2010 just after unveiling it earlier at a Auto Expo in the same year. However, the entire hard work of the team and the maker went in when when it the car end in smoke and could not really live the expectations. The vehicle caused the the maker monetary loss. Also, the brand losses its attempt to sought after image a bit. 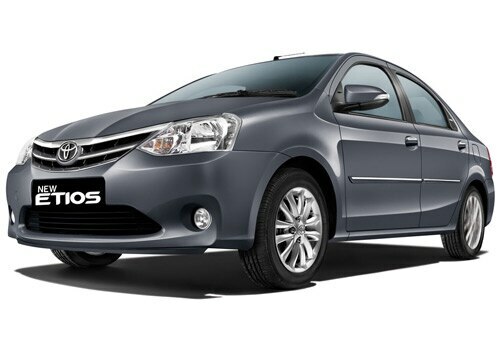 The all new Toyota Etios Price has been kept much affordable not only for high class but also for the middle class buyers. It comes in the range of 5.49 to 8.24 Lakh (New Delhi). Toyota is known for building cars with quality, however, this car was an exception. There was no quality in it and was considered like it is made to a cost. Sarcastically, the maker referred to this car as a 'Quality Revolution' which was completely misleading. The Japanese manufacturer has made changes to the car and relaunched it earlier 2013. The car continues failing to attract the customers and seemed as bland as it always looked. The chrome inserts really did not help it. The tag line 'Quality Revolution' was funny but the maker is gone one step ahead and named Etios face-lifted avatar 'The Real Sedan' , which seems even a bigger joke. This car looks like a bread box on wheels and its design looks very plane-jane both inside-out. Toyota Etios is powered by a 1.5 litre petrol engine with a displacement of 1496 cc. The maximum power out put, generated by this 16 valve engine is 88.8 bhp arrives at 5600 rpm whereas a peak torque production of this engine is 132 Nm at 3000 rpm. In terms of mileage, this sedan offers a rich mileage of 13.5 kmpl in city conditions and on wider and smoother roads of a highway, it delivers 16.8 kmpl. On this level, this car performs very well. Toyota Etios Features a suspension system which is up to the mark. It has McPherson Strut at the front and Torsion Beam at the rear suspension to save you from each bump you come across while your journey. The braking system consists of front disc and the rear is drum, which also works pretty fine. On the grounds of speed, this sedan offers a good speed. It can reach up to a decent mark very quickly. However, its base variant lacks power steering, power windows and remote central locking. Toyota Etios Pictures a design which is not too attractive and that is the real backdrop of the car. Its design and styling are too basic and bland. The Japanese automobile manufacturer has unveiled its flagship new SUV Nissan Terrano car recently. The company is going to launch it in the October, which is one of the best time to roll out any vehicle. This sports utility vehicle is going to be loaded with a lot of good and advanced features, which are capable to attract the interested buyers. The Nissan Terrano price is not exactly announced by the company but the price of base variant is expected to be somewhere around RS. 8.5 lakh (Ex-showroom, New Delhi). The company has announced that this is going to be launched with seven variants with diesel engine and only one variant is going to be launched with a petrol engine. Nissan cars have powered the diesel variant with a 1.5-litre engine with four- cylinders and at the same time, we can say that the engine specifications are going to be the same as Renault Duster. It is expected that the XL variant of a diesel engine can churn out a maximum power of 85 PS, which is quite good for the Indian road conditions. It is mated with a manual transmission and also deliver a power packed performance. It is expected that this SUV also returns a very healthy fuel-economy, acceleration and pick up quality and that will be a very important reason of purchasing. The Nissan Terrano features are perfect for the middle class and not only this, it is expected that the company might loaded it with a lot of comfort and safety aspects. The company is going to launch it with a lot of sparkling colours and in all such exterior shades, these SUV's are looking stunning and captivating. There are some standard features, which company has announced for the petrol variant is ABS, EBD, BA, air-bags, central locking system and many other things for the safety of the passengers. Then it has some other features for the comfort and convenience and the list includes, black centre console with a lot of features, air conditioner with rear AC vents, leather wrapped steering wheel and many other such things, which makes it perfect. The exterior of this yet to be launched four wheeler is perfect with a number of striking features. 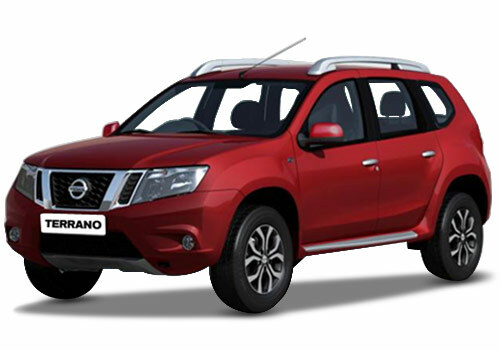 The front part of the vehicle is loaded with a rugged ad masculine radiator grille with chrome, body coloured bumper and many other such things, which makes the vehicle perfect and the Nissan Terrano pictures wonderful. Apart from these, the company has loaded with a various exterior features, which helps in making this eye-catching. The Audi Q3 will now be manufactured locally in the country. To cut down on the transportation costs and reduce the waiting time, the German automobile brand has started producing the vehicle at it’s Aurangabad facility in Maharashtra. The plant till date has been involved in manufacturing premium sedans like A4, A6 and high end cross over SUVs Q5, Q7. Now they will soon start manufacturing the Q3 variants. The decision would have a long term effect. With shorter waiting time and less production cost, the company will be able to provide better services to the customers. The Audi Q3 price range starts from INR 24.99 lakhs and goes beyond INR 35 lakhs. The entry level car of the much popular Q series of Audi cars, this has been in good demand as the country is now experiencing the class of German engineering. The smooth performing SUV has impressed a lot of people and the aggressive pricing has helped them get good bookings. The Audi Q3 features an exclusive design which is immaculate and build quality is undoubtedly at it’s best. It comes in two engine and three drive modes. The petrol variant which is a single model in this engine option carries a 1968 cc 2.0 Liter 16 Valve petrol engine. The max power churned out through this is 174.3 BHP at a max torque of 380 NM. The mileage of this variant is 11 kmpl. It comes in a two wheel, a four Wheel with Quattro drive mode. The diesel engine type provides three variants and all of them house a similar 1968 cc 2.0 Liter 16 Valve TDI diesel engine. The power output here is 138.1 BHP and torque is 320 NM. The mileage is 14 kmpl throughout the variants except S Edition which delivers 15 kilometer per liter. The transmission type is manual and automatic and it varies among the variant lines. The transmission relies on 7 speed matted single plate gearbox. 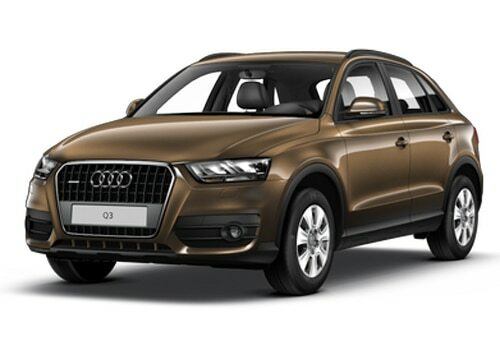 The Audi Q3 pictures depict a mid-sized neat looking SUV which has a terrific build quality. It shares the exteriors with elder siblings, Q5 and Q7 and going by outward appearance it only differs to them in size. This one is smaller yet spacious and comes in with 7 seater cabin. The interiors have been crafted with immaculate precision. The central dashboard houses the necessary controls along with a touch enabled display console with satellite navigation system. The luxury features are all up-to-date and best in segment. The safety and comfort have been given the prime importance here. The German company is known for not compromising either of the two for price. The demand is high and there is currently a long waiting time before delivery. Hopefully, when an own country made Q3 rolls out, they will be available with much more affordability. Honda cars manufacturers are the most reliable as well as trustworthy automobile company. The manufacturer has offered magnificent fleet of cars to the nation which sports striking exteriors along with a host of incredible safety as well as comfort aspects. They do have gigantic manufacturing facility based in the country which is located in Greater Noida that is in the state of Uttar Pradesh and other massive factory in the district of Bhiwadi, in Rajasthan. The production facility is most refined and they provide polished cars for the enthusiasts. The auto mobile manufactured by the company in the nation is equipped with petrol engines. The Honda Jazz price is Rs 7.56 lakhs (Ex showroom, New Delhi). 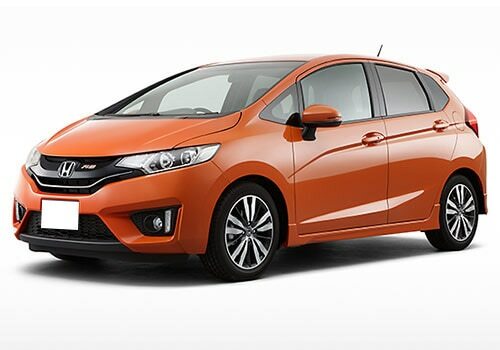 This particular hatchback is offered in three petrol trims namely entry level base variant jazz and then the mid level trim Jazz select and the top end Honda Jazz X. The charming vehicle has been equipped with influential as well as lively petrol engine with manual transmission gear box. The 1.2 petrol engine has PGM FI (programmable Electronic fuel injection technology powering its fuel supply system, which enhances the engine performance with better fuel efficiency. The company claims that it is producing a healthy mileage nearing to 12.6 kmpl on the city roads. The company has also equipped the stylish Petrol hatchback with an influential 1198cc petrol engine. 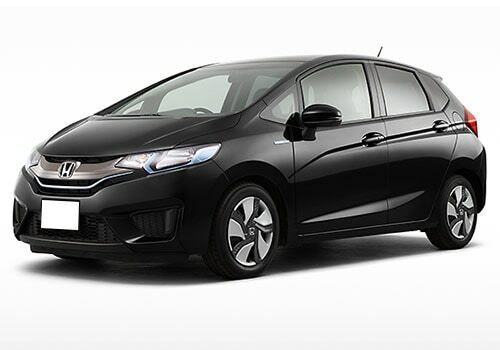 The Honda Jazz Features include advanced technology which include intelligent electronic fuel supply system along with in line cylinders and it is further equipped with sixteen valves. All these put together aid in generating healthy power and torque output, and it is quite impressive for the Indian roads and traffic conditions. The variant has a capacity to generate about 90bhp at 6200 rpm in combination with a maximum torque of 110Nm at 4800rpm, which is quite impressive. The variant is available in numerous colors such as Tafeta White, Cystal Black Pearl and Sherbet Blue. The car has been designed with flamboyance and it has lot of notable exterior features. Its overall structure is aerodynamic and it has super forwarding form. The hatchback has been offering sporty hexagon front grille, which offers lot of chrome on it. The grille is flanked by large extended head light cluster, and it has been fitted with powerful silver and mat colored halogen lamps. Its front bumper is trimly styled, it is provided with slatted air dam in the center and is surrounded by a pair of bright fog lamps which provide aid in giving clear visibility to the driver. The buyers who desire to have a look at the Honda Jazz new pictures can visit the photo gallery of the company. The highly anticipated compact SUV segment is heated up with the launch of Ford Ecosport and it dethroned the Renault Duster and became the best seller. All the other manufacturers are gearing up to enter in this much loved and accepted segment by the Indians. Hyundai, Chevrolet, Mahindra all these are readily testing there prototype. 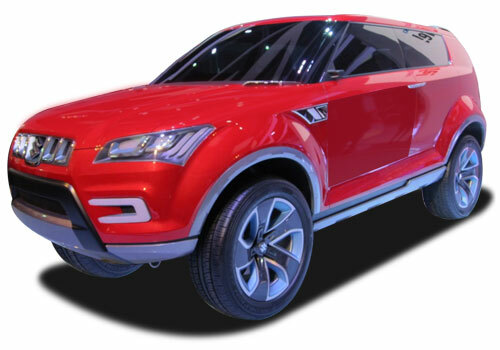 Maruti cars displayed the Maruti XA Alpha compact SUV concept vehicle at the 2012 Delhi Auto Expo. The company was planning to launch the vehicle soon. However, the manufacturer has run into troubles with the prototypes of the vehicle which in turn delayed the production ready model and the car will not see the light of the day at the upcoming 2014 Delhi auto expo. Maruti XA Alpha price is expected to be kept aggressively. Maruti XA Alpha has a very boxy design but do not go by the statement. The car is a head-turner with its elegant and simple style along with sleek line. A lot of muscle is thrown around the contour curves which impart solid looks to the four-wheeler. The Maruti XA Alpha pictures of the concept version showcased at the 12th auto expo sports suicide doors which are segment first. Not too sure that the company will keep these in the production version. The coupe like roof-line of the vehicle is reminiscent of the land Rover Evoque and looks breathtaking. The U shaped day time running LED’s will be retained and probably will be the segment first. 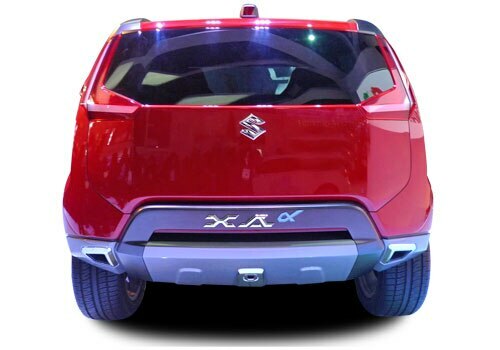 The large U shaped chrome grill sports the Suzuki logo. The head-lights are very similar to the Audi Q series SUV’s. The rear of the vehicle sports L shaped tail lights. Maruti XA Alpha features are not known as the details and the interiors of the car are not revealed by the auto-maker at the auto expo. The vehicle is expected to have host of features including a four-wheel drive version, hill hold and descend option and various others. Mechanically, the car is expected to be powered by the multi-jet diesel engine and k series petrol units. Slightly tweaked and updated 1.3 multi-jet unit is expected to power the vehicle. The engine will be updated in terms of low end torque and lesser legs. The vehicle will ride on 16’’ radials and smartly designed 5 spoke gun metal coloured alloy wheels. The colour scheme on the car will be two tone as displayed at the auto expo; Red coloured upper portion and bottom is coloured in Brushed Aluminium. The Indian auto-maker is expected to launch it in later half of 2014. On the whole, this four-wheeler is going to win the heart of the bike-enthusiasts of the for its breathtaking design and an awe-inspiring appearance and Maruti Suzuki also launches Ritz @ BuzZ-Only Limited Edition. Renault Cars made an excellent move in the Indian market by launching Duster compact SUV in 2012. The car has improved the position of the company in India and has also done remarkably well in international market. The popularity of the vehicle paved a way for success of the SUV segment in India and to further increase on the success of the car, the company has come up with the facelift version. 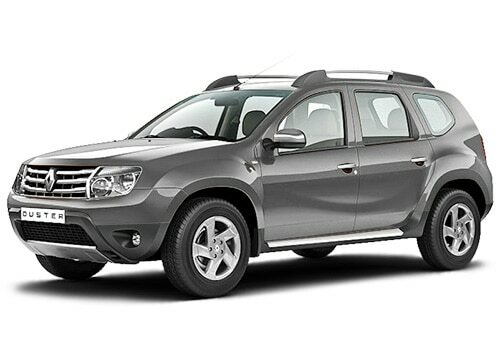 The facelifted Renault Duster was revealed recently and the company also released more pictures of the vehicle. It comes with small cosmetic changes of the exterior and interior and the powertrains remains unchanged. The exterior restyled front grille and headlights have undergone a complete transformation. It also includes new air intake assembly, new front and rear scuff plates, 16-inch alloy wheel offer with Mud and Snow tyres, revised tail lamps, a new 4WD lettering is incorporated at the back, the wheel arches are more prominent and company branded roof rails with slatted supports. There is no official information regarding the new Renault Duster price and it will be revealed at the launch time. The main changes to the vehicle are done in the interior cabin. It includes audio control steering wheel, redesigned dashboard and the centre console has been revised. It also comes with chrome inserts on the handlebar, a new touch screen infotainment system with maps, redesigned front seats, repositioning of the power window switches, front parking sensors and new upholstery. It also comes with a two exterior pack such as adventure pack and the off-road pack and also the buttons have been shuffled. The hazard button comes right below the centre AC vents. The new Renault Duster features, that is, its mechanical features are same as the previous model only the 1.6litre petrol engine is replaced by a 1.2litre turbo petrol engine. The new engine produces a power output of 120bhp against 100bhp of the old one. It also powered by 1.5litre K9K diesel engine which churns out a maximum power output of 85bhp and 110bhp depending on the set of tune. The 1.2litre powerplant won't be offered in India and the four-wheel drive is offered globally and will also be introduced in India. The company will launch the compact SUV in the market soon because the sales of the car have been seeing a fall after the arrival of the Ford Ecosport. For further information, check out the facelifted Renault duster pictures which are available in various websites and Renault has already entered into the hearts of Indian car.